What is a Computer Terminal? A bank of computer terminals. 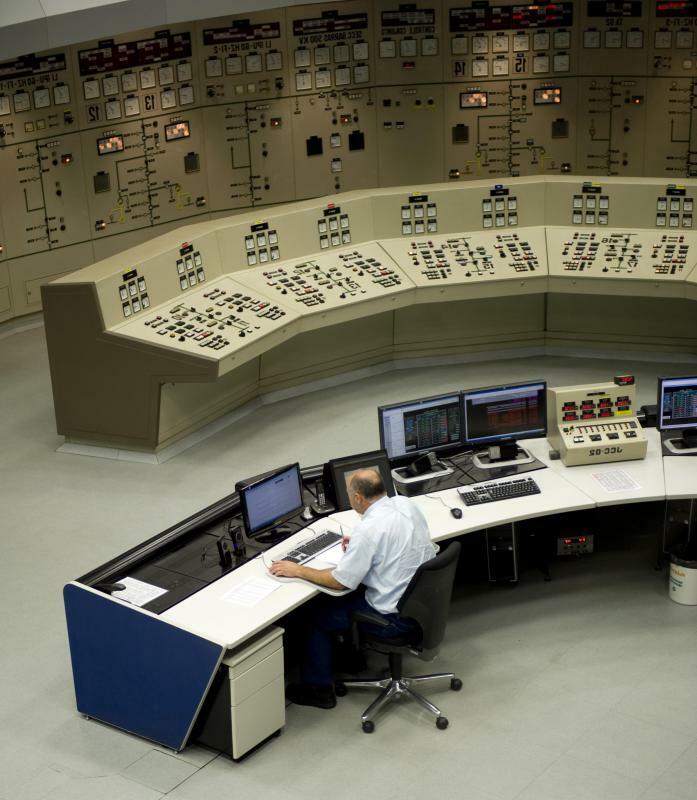 A single computer terminal can control a power plant. A woman working at a computer terminal. 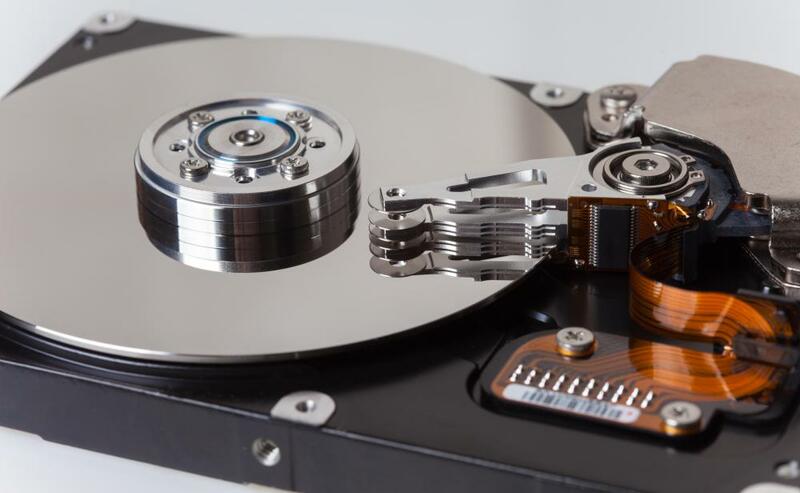 A computer terminal may or may not house its own hard drive. A computer terminal is the hardware used to enter, retrieve, and display electronic data. While many people think of the modern day desktop or laptop computer that is positioned at a workstation as being a terminal, these devices are only the latest in terminal types that have been used over the years. With the advent of the computers of the 1940s and 1950s, the concept of a work station that made it possible to feed information into the database, as well as retrieve information based on queries, the original concept of the computer terminal came into being. One of the earliest examples of this type of electromechanical hardware was the common teleprinter. While various makes and models varied somewhat in design, most included a keyboard that looked a great deal like a typewriter. This typing station was attached to the computing system that housed the stored data. By using the keyboard to enter a query, and then hitting a specific key to begin the search, the system would locate the answer, then print out the response on the pin-fed paper used by the teleprinter. Terminals of this type gained popularity in many publishing and media firms during the 1950s, as the use of these electronic brains for conducting fact checks helped these businesses constantly update and maintain vast amounts of information on all sorts of data. Most of these early devices required the use of punch cards to add information to a database. The punch cards were created by using equipment to perforate a small rectangular card at specific points along the body of the card. Each card was fed into a slot on the terminal, allowing the system to read the card and convert the information into electronic data that was then stored in the memory banks of the system. It was this stored data that the system would access when a query was made, translate the data back into common language, and use one or more teleprinters to provide a printout of the answer. With the technological advances of the 1970s and 1980s, the concept of the computer terminal began to shift somewhat. 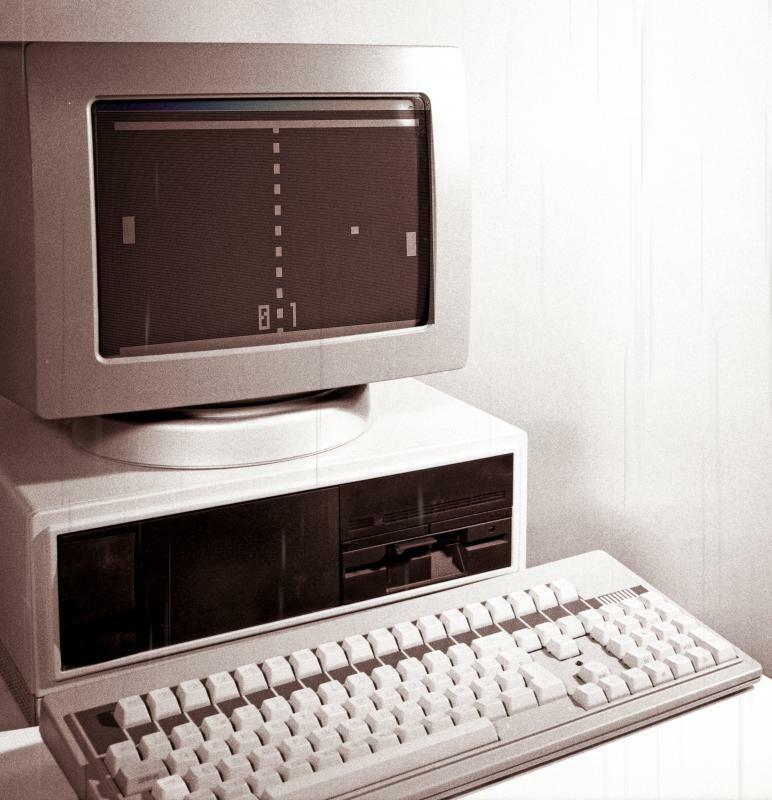 Instead of a small number of terminals connected to a mainframe, the idea of a network of desktop connections via a central server came into being. By the 1990s, the workstations in many businesses were no longer equipped with devices like typewriters, but featured a hard drive, monitor, and keyboard that was small enough to fit on a typical work desk. In some cases, these newer terminals also included a printer, although many businesses opted to use a single printer to service several terminals at once. As technology continued to enhance the electronic functions of these newer systems, single printers at individual workstations became more common. Today, a computer terminal not only allows the user to connect with data saved on a hard drive, or the data stored on a common server within the business, but also to the wealth of information that is found on the Internet. This contemporary configuration of the terminal is continuing to undergo change. Advances in technology now make it possible to use laptops and even some handheld devices to remotely connect with databases, enter and retrieve data, and in general perform all the tasks that were once only possible in an office setting. What is Data Terminal Equipment? What is a Network Support Technician? How do I Become an IT Specialist? I'm one of those computer engineers that think some day computer terminals will completely take over for individual workstations. While highly specialized high-end computer workstations might still exist for very specific fields, I think that the general consumer will end up using a terminal like computer system. The reason behind this is, the duplication of data around the world so that data can exist on individual computers is creating a huge sucking effect on energy resources as well as physical resources. By moving all the data storage and central processing to central locations were essentially reducing the waste in the world. their house. If you treat electricity like computing power than it makes sense that you would not want a generator located in each home. A power plants is capable of producing energy on a much more efficient economy of scale. If we all ran generators are houses the amount of gasoline and fuel that would be used to create our energy would be significantly higher than the amount of energy it takes to create our electricity at a central power plant. Someday we will see computers on the consumer and being very simple and basic and essentially input devices and allowing for central servers to process all of our applications. One example of this that is already occurring is Google documents. This service offered by the Internet giant allows for people to use a word processor right within their web browser. My boss makes us use computer terminals were I work and I absolutely hate them. I think would be much easier if we had our own computers to use instead of the terminal that simply connects to the server. The problem with these terminals is that they rely on the connection speed between the terminal and the central server that is giving the data to the terminal period if the network is busy or clogged with other users then we have an extremely slow response time that effects how I am able to help our clients. This is something for employers to consider if they are looking at purchasing a computer terminal and server solution. Ensure that your employees have proper tools to use for the jobs they are trying to get done. This concept of ensuring proper tools will mean that your please are more efficient and much happier in their work environment. 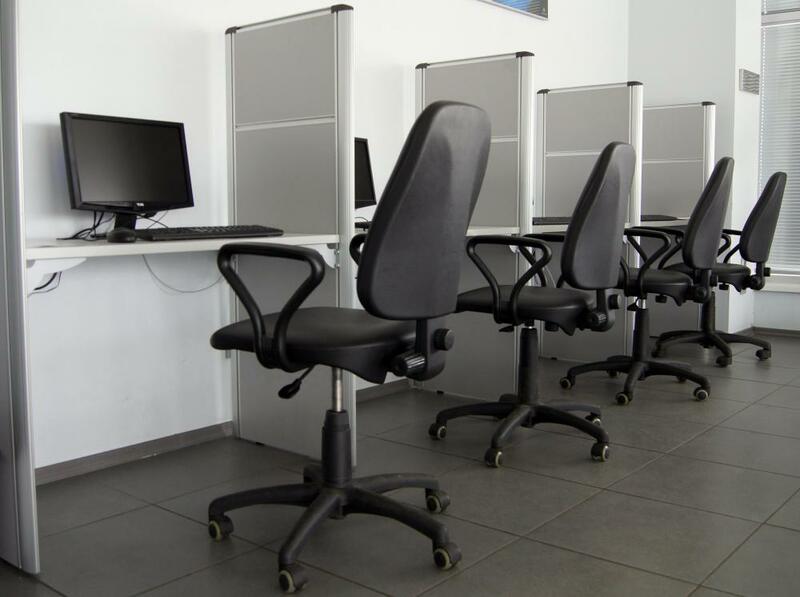 Just as the previous commentor mentioned, employers can save a significant amount of overhead costs by purchasing computer terminal systems to work with the server instead of buying individual workstations. This type of computer system will only be possible if the applications that are being used by your individual workers are simple enough to work on a computer terminal. If you are looking for high power software applications to use in your workforce, you might need to consider the use of true computer work stations at each individual workstation. using a screen and a keyboard. Since then the development of computer terminals have expanded to many different functions. The use of computer terminals for point-of-sale retail computers has become very popular as well as a variety of different retail functions. Any time a company requires the use of the data access system, computer terminals are a great option for this type of working system. I remember a time when people thought computer terminals would completely take over the computing industry. The concept behind this was cloud computing. While cloud computing has seen a new emergence on a much grander scale such as Google, local level terminal use as been very minimal. Often computer terminals are used simply as a means for large organizations to reduce computer equipment costs. Perhaps one of the most famous examples of the computer terminal connected to a larger system is a point-of-sale retail cash register. These cash registers operate with information from a larger computer server but are still able to act as an interaction point for an individual point of sale.